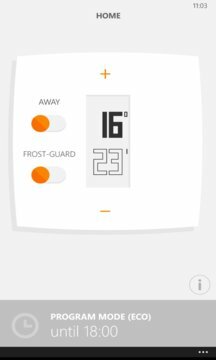 Discover the Netatmo Thermostat for Smartphone and its app! A Netatmo Thermostat is required. Find out more about the Netatmo Thermostat at www.netatmo.com. 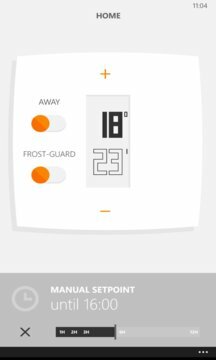 Monitor your energy consumption directly from your Smartphone with the Netatmo Thermostat app! * Control your heating system directly from your Smartphone to optimize your comfort while saving on energy bills. * Intuitive and easy navigation! Set your home temperature in one easy gesture. * Save energy when you are away. * Tell your thermostat how you live, it will adapt and take care of your confort, and help you save up to 25% on energy bills. * Modify the planning whenever you want, thanks to intuive navigation. * Record your home temperature. * Analyse and understand energy consumption in beautiful and intuitive graphs.